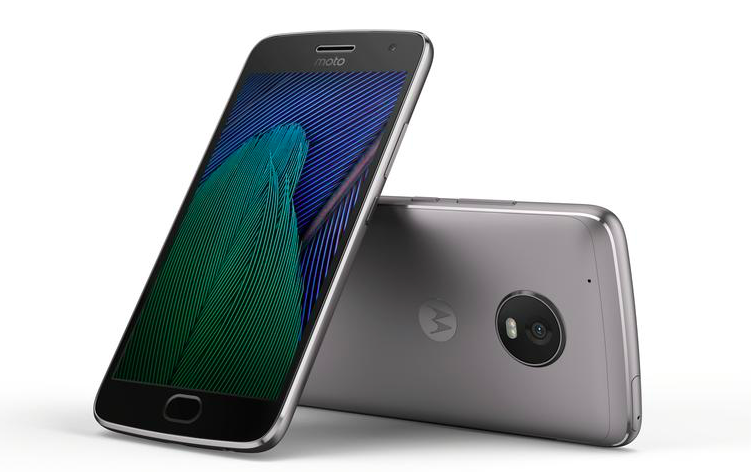 Lenovo-owned Motorola finally unveiled the Moto G5 and Moto G5 Plus at the MWC 2017 in Barcelona. Not much looks to be upgraded for the two new successors of Moto G4 and Moto G4 Plus except for the design and build quality. This time around, Motorola chose metal design for giving a premium look and feel to the Moto G5 and Moto G5 Plus. Notably, the Moto G5 will not be launched in the US as it is targeted towards developing markets like Asia, Europe, and select parts of South America. Unlike their predecessors, the Moto G5 and Moto G5 Plus have fewer similarities in their hardware. The display size difference is also not huge as the Moto G5 features a 5-inch full HD screen while the Moto G5 Plus settles for a 5.2-inch full HD screen. The Moto G5 comes powered by an entry-level 1.4GHz Snapdragon 430 processor while the Moto G5 Plus has a mid-range 2GHz Snapdragon 625 SoC powering it. Both the phones run Android 7.1 Nougat out-of-the-box and have a fingerprint scanner embedded into the Home button. Dissimilar to other current smartphones, Motorola did not choose USB Type-C for the Moto G5 and Moto G5 Plus. Both the phones come with the old good old micro USB port. Also, the 3.5mm audio jack also remains intact. The Moto G5 sports a 13MP rear camera with PDAF, dual-LED flash, f/2.0 aperture, and a 5MP wide-angle camera on the front. It packs in 2GB/3GB of RAM and 16GB/32GB internal storage (based on the region). The storage on the Moto G5 is expandable up to 128GB using a microSD card. There is a 2800mAh battery onboard, which is removable and equipped with fast charging technology. In contrast, the Moto G5 Plus bears 32GB/64GB internal storage and 3GB/4GB of RAM (region dependent). The storage on this one too can be expanded up to 128GB via microSD card. The G5 Plus sports a 12MP rear camera, which is better than the one on Moto G5 as it is touted by the company for being ‘the most advanced’. The camera is supported by other features such as dual-LED flash, 4K video recording, f/1.7 aperture and a 5MP wide-angle front-facing camera. The phone is backed by a 3000mAh non-removable battery with TurboPower charging technology, which is claimed by the company to juice up the phone for six hours output in just 15 minutes of charging. Regarding pricing and availability, as we mentioned in the introduction, the Moto G5 won’t be launched in the US. But for other markets, its starting price is €199/$229 for the 2GB RAM/16GB storage variant. The Moto G5 Plus will be launched for the US and it is priced at €279/$299 for the 3GB RAM/32GB storage variant. In the U.S., the unlocked Moto G5 Plus will be up for sale on Motorola.com and it will be compatible with major carriers.